The little kings and queens of living in the moment and feeling their emotions. All the things we strive to do as adults and want for our children, but perhaps? Just a little more quietly. A little less disruptively. A little less toddler-like. I want to validate my child’s feelings and let her know I take her seriously and am listening to her. But I don’t want necessarily want to validate her when she’s yelling at me about popcorn in a quiet movie theater. I don’t always feel like listening to her when she’s throwing things out of the shopping cart because I won’t buy her the candy she wants. It’s a constant battle…encouraging our kids to be honest with their emotions and also teaching them how to do this in a socially appropriate manner! 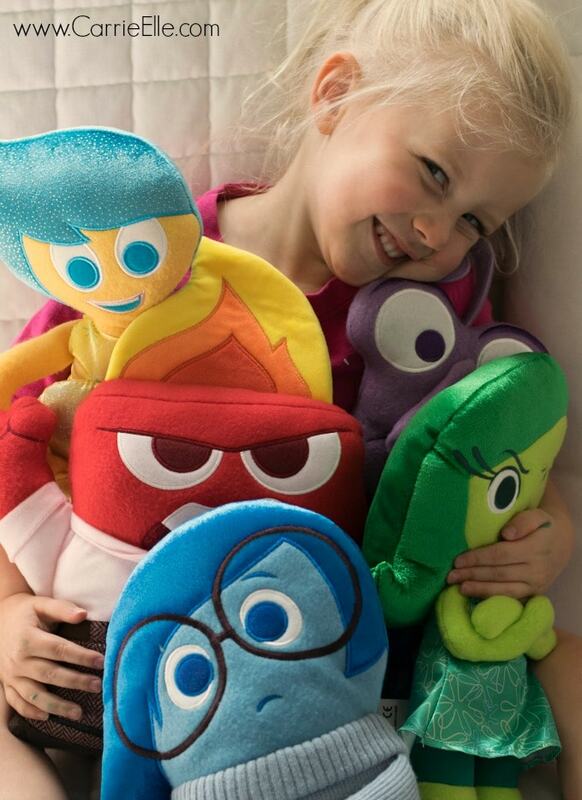 I was really thinking about this after I took the kids to see Inside Out (and OMG – have you seen it?? SO good, you guys…so good). Being almost-four-years-old is tough. And these last few weeks have been rough on everyone in this household. There’s been hitting, screaming, crying, whining, dinner drama…all things that I know are “normal” behaviors at this age for any child, particularly a strong-willed child. 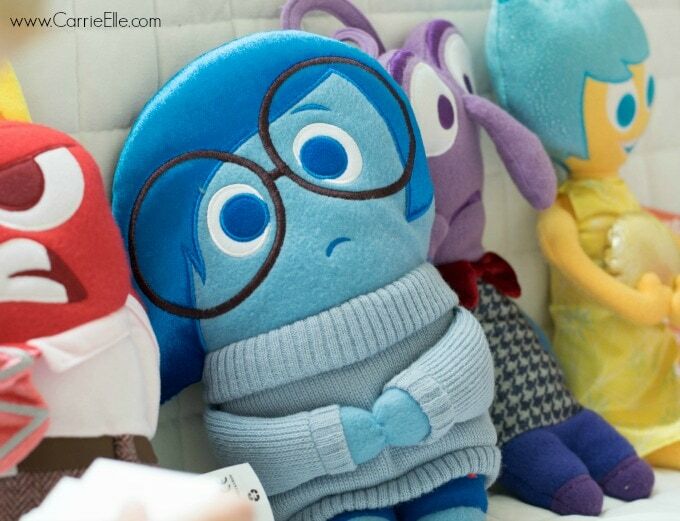 But I thought Inside Out might give us the chance to talk about emotions and how to express them appropriately. With Joy, Anger, Disgust, Fear and Sadness as my copilots, we talked emotion. I had Claire show me different emotions to make sure we were on the same playing field, and then we talked about how we should express these emotions. It’s okay to be angry! But it’s not okay to throw things out of the shopping cart. It’s okay to feel disgust! But it’s not okay to shove your plate of vegetables across the table. 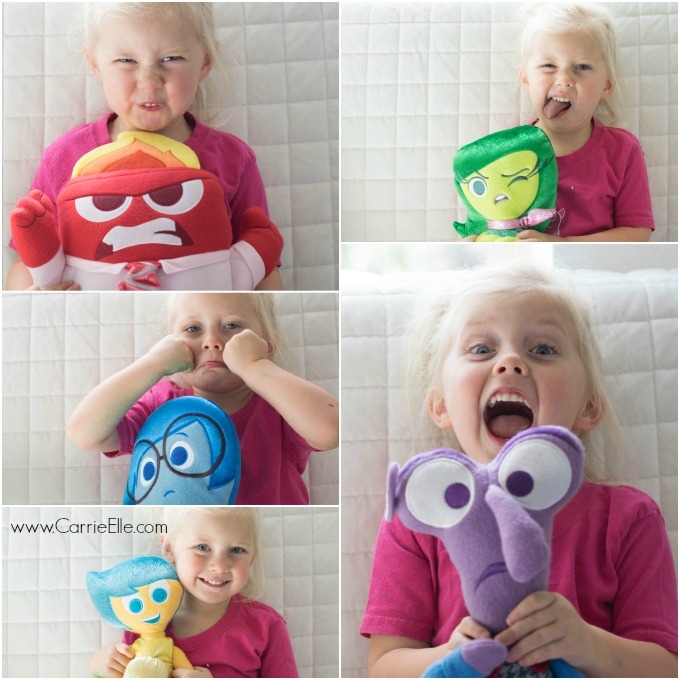 I also made a printable kids game of Emotion Bingo inspired by Inside Out. 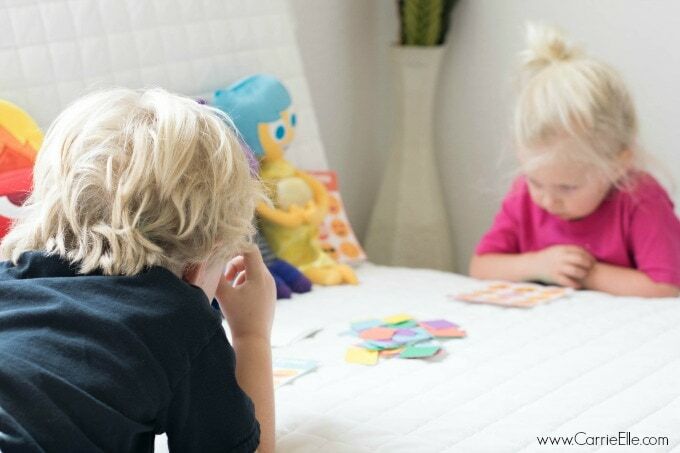 This was fun for both kids to play…and I even created it so they could play by themselves (mom WIN!). All you need is a printer and some scissors – and once it’s all cut out, everything will fit in a resealable sandwich bag. There are six boards, and although you only need three-in-a-row to get a bingo (five seemed too complicated for little kids), you can make this more challenging by having them fill in the entire board. 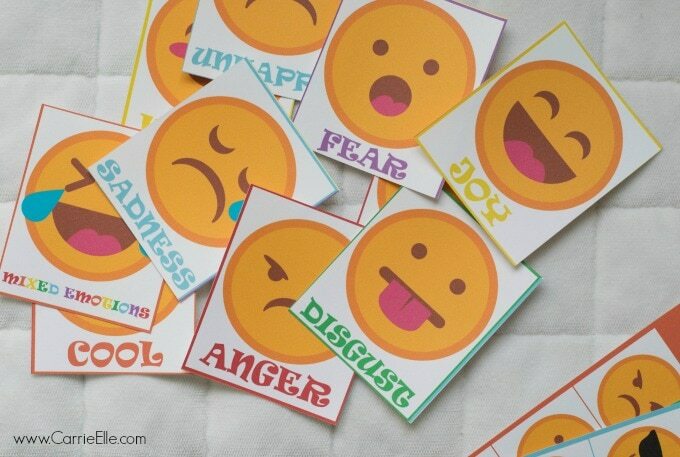 I had the kids take turns drawing an emotion card…and if they had that emotion on their game board, they would cover it with a marker. Sadness supervised. Which is TOTALLY appropriate because guess who cried and threw her game pieces on the floor when she didn’t win? This emotions stuff? It’s hard work, and a work in progress. Just ask Sadness. 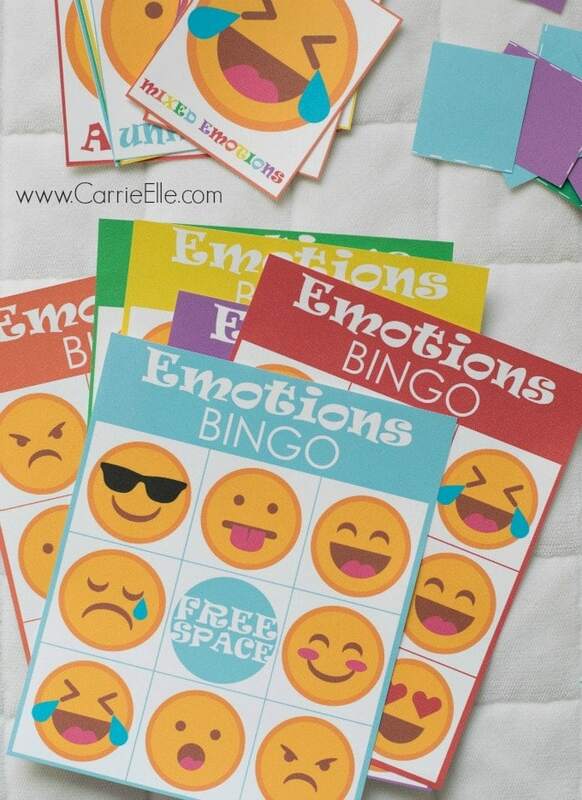 You can download your copy of Emotion Bingo here. And seriously. 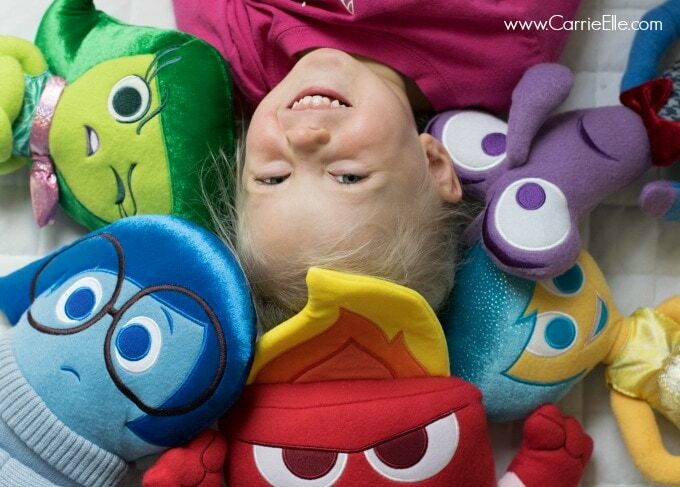 Go see Inside Out! Follow us on Facebook for more free printables, meal planning help, and family-friendly ideas. What a great idea! I really want to see this movie, especially having a child who struggles to understand social language and correctly identify and verbalize emotions. 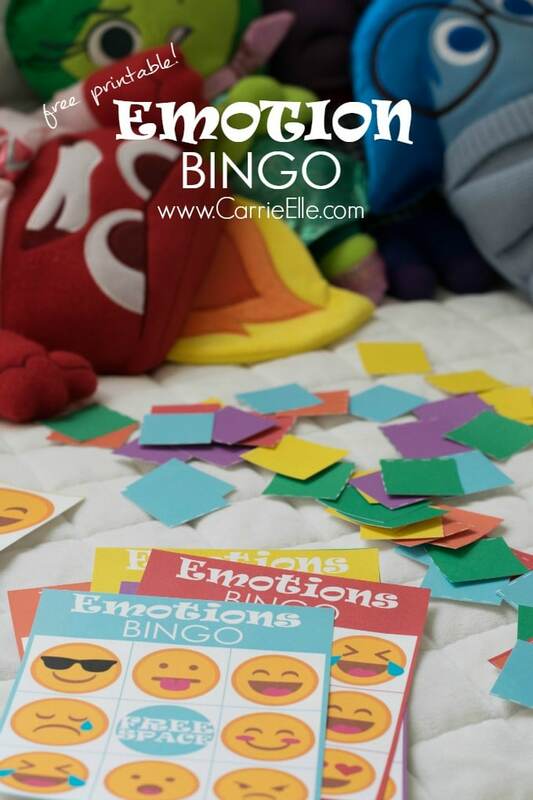 Sounds like this movie opens some great conversations – and love the idea of the bingo game! It was SO GOOD…definitely worth seeing, and definitely a conversation starter! Ohhhhhh, dinner drama ALL DAY EVERY DAY. lol. But we LOVED the movie and there was no drama about that! 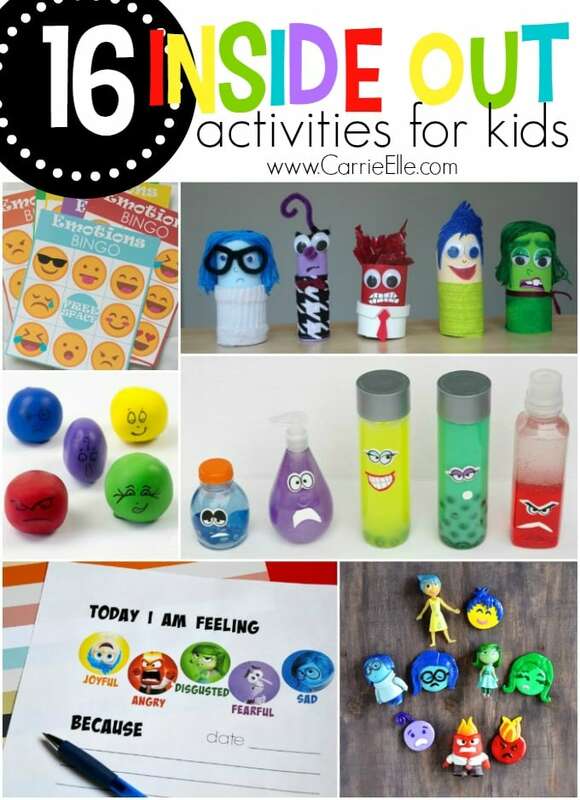 This is such a great kids activity, Thanks for sharing it with us on our Bowdabra Saturday Crafty Showcase!! 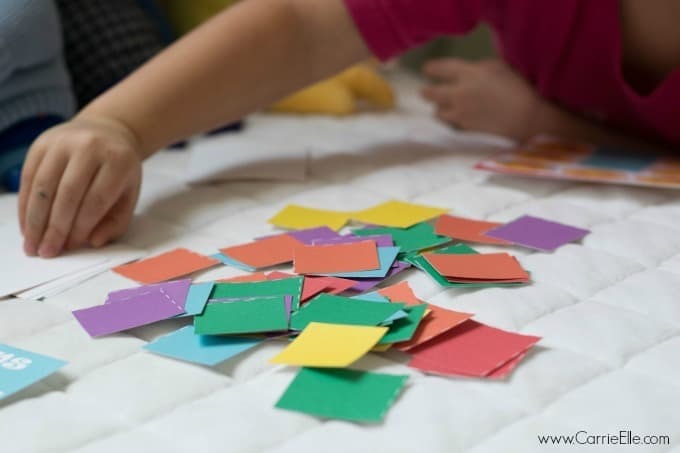 I love the idea of using this movie as an educational tool for toddlers with the bingo game! Thanks Joann! It’s definitely helpful with the little ones! Such a great idea with my 4 yr old we deal with a lot of emotions on a daily basis good to make a game that shows them! I still need to see that movie, I heard it was great. It’s SO GOOD. Definitely worth seeing! What a fun idea. i think we need to go and see that movie. With an emotional pre-teen it’s good to talk about acceptable expressions of emotion. Some days I don’t express mine it the best way either. Thanks for linking up at the Bloggers Brags pinterest party. I pinned your post to our group board. I NEED to see the movie. I’ve heard, like you mention, it’s genius way to talk about feelings. The emotional bingo is cute, too. I will definitely check it out. DEFINITELY need to see it – it’s so smart and entertaining. I for some reason cannot print them out. Is there any way you can send the link to my personal email. Thank you for sharing this! I found you via Pinterest. 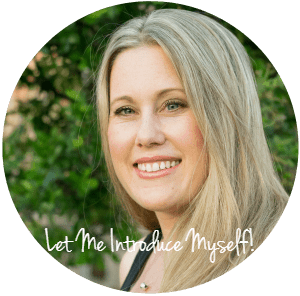 I am a child therapist working with toddlers and preschoolers to improve emotion regulation. 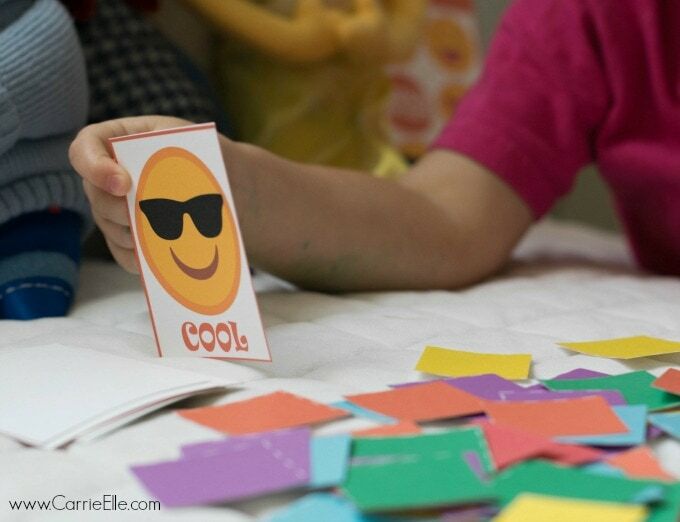 Such a fun game for a kid’s birthday party! Hi!! There is one picture on the bingo card that there is not a drawing card for! It looks like Joy but with circle eyes. Maybe silly or funny? Do you have that one with the emotion listed on it? 🙂 Thanks!! Thanks for sharing such an amazing idea! It can be helpful for every kid. How come there is no link to actually download the game to print off?